The appeal of truffles is indisputable. These mysterious fungi are as elusive as they are captivating, the most precious hunted in the foggy mornings of autumn and winter. There is something undeniably seductive and exotic about the truffle, and for many centuries – and even today- it was attributed aphrodisiac qualities. 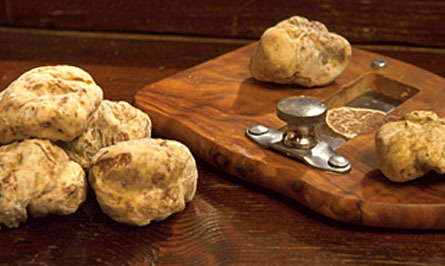 In the highest of social circles, truffles were highly coveted and consumed to enhance the amorous experience. We know that the Ancient Greeks and Romans used them for therapeutic purposes, believing that they gave eternal health to the body and soul. Truffles were also seen as has having exotic qualities in their aroma and flavour making them more popular among the noble classes. "A heartfelt thank you, Helena, for organising a truly memorable weekend for my husband and myself. We enjoyed every aspect of the 5* Gastronomy Experience from the wonderful meals to the pasta-making with Anna, tasting the difference between the Balsamic Vinegars and the truffle hunt. I could go on and on. Non of this would have been possible without your organisation, but what made it really special was your personal touch." "Thank you once again VERY much for looking after us on our trip and for organising everything so perfectly. We spent a fantastic two days discovering the incredible food and the incredible cars. The fact that you accompanied us on our trip to Lamborghini made it even more special. The wives were also happy….which is the most important thing, even if they didn’t want to experience the exhilarating experience of a drive in a Lamborghini. Once again, thank you, thank you." "What can I say but wow! We guys were supposed to be driving the Ferraris and our ‘gals’ were supposed to be cooking. It all got turned upside down – but in the best way possible. I am so glad you persuaded us to join in the cooking classes as they were great fun. We learnt so much, especially about the Balsamic Vinegars. I will never look at a bottle at the supermarket in the same way again. Thanks for making it a perfect couple of days for us. " "On behalf of the group, I would like to thank you so much for organising one of the most fascinating, instructive and creative days ever. The day truffle hunting and cooking with truffles was a total revelation. Now we can really appreciate why truffles are so costly. Thanks for sharing your knowledge with us, Helena, we are so much ‘gastronomically’ richer for the experience, especially since we work in the restaurant industry. It was really special. Thank you again. " "You have no idea how wonderful it was to surprise my wife with the 5* Gastronomy Experience and how thrilled she was with this kind of ‘full immersion’ into the food of Emilia. 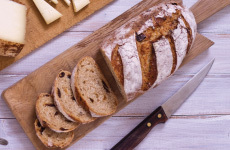 The organisation of all the Ham, Parmesan and Balsamic visits as well as the cookery courses was more than professional, because there was always some small detail and a personal touch that was prevalent throughout. It is an experience we will treasure forever. Thank you, thank you." "Thank you so much for organising the ‘Mastering Gelato’ course for my family, which was fantastic. 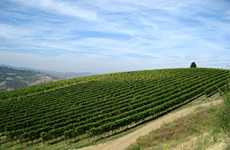 The accommodation with Cristina and Umberto was lovely and the views stunning. We are all ‘gelato’d’ out at home – our daughters are so enthusiastic and our kitchen has almost become a gelato-making laboratory! I wish we had stayed longer and done the full day course, but I guess it’s a great excuse to come back!" "An incredible experience! Delicious food! Amazing wine! I had never heard of the Bologna wines, but I have to say they are a revelation. I have ordered 4 cases of Pignoletto from the wine cellar we visited and I really look forward to opening them and sharing them at my birthday party shortly. Brilliant organisation and a wealth of knowledge. Next time I’ll be back for a few more days for an altogether ‘deeper’ experience. Thank you." "The Emilia experience was a rare treat. Your knowledge of the foods, products and wines of the region as well as your passion and enthusiasm are praiseworthy, Helena. The whole experience felt truly exclusive and getting to see that famous rock-group that my kids like at the Lamborghini factory and take a photo was just the best. We’ll be back to get our hands on those eggs and flour soon!" "We just wanted to say how much fun we had doing the Classic Emilia cooking course and also wanted to thank you for organising everything, down to the last detail, with such short notice. We really learnt some amazing recipes and my Bolognese sauce or ‘Ragù’ has taken on a whole new lease of life. I would love to come back with a group of friends and organise a longer and more in-depth food experience. Keep us posted on what you’re doing! Thanks again." "We know you organise lots of these various courses and experiences, but we wanted to thank you for making us make feel unique and special during our two day stay in the Bologna hills. 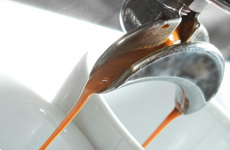 Your knowledge of all the foods and products is amazing, but most of all, the attention to your guests is so personal it is almost as though you are personalising everything at every moment to how we are feeling and reacting. We are getting older, so don’t know if another European trip is on the cards, but we will certainly spread the ‘Yummy Italy’ word among our friends." "On behalf of my group, thank you a hundred times for the perfect days we spent in Bologna and Modena. Driving the Ferraris into the hills was a totally exhilarating experience, eating the amazing food and (for those not driving) tasting the really delicious wines was wonderful. You are right, next time we’ll bring our wives so that they can learn how to cook the fantastic pasta! We’ll drive the cars again! See you soon!" 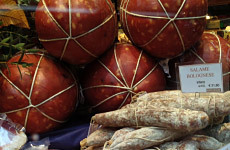 "Just to say how enlightening the ‘Taste of Yummy Bologna’ walking tour was. Our guide was incredibly knowledgeable and who knew that delicious pasta could be inspired by Venus’ navel and golden hair? The secret of Neptune in Piazza Maggiore was really funny too. Seriously though, this one day tour is a true full immersion of the best food in Bologna. Worth every penny and definitely a reason to come back and do a proper cookery course. Thank you." "Organising my 50th birthday party in a Bolognese medieval tower was a risk that paid off. I am so glad that I listened to your advice. Thank you so much for organising a truly perfect event – a wonderful Bologna food tour, some amazing tastings, but most of all, all the tiny details that made it a truly memorable birthday weekend for my guests and myself." "My colleagues and I are all self-confessed wine snobs, but we were so glad you persuaded us to explore and taste the local wines. They were surprisingly good and should definitely get more publicity. 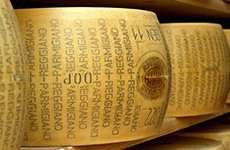 Thank you so much for organising the Parmesan and Balsamic Vinegar visits too and the food tastings with the wine. 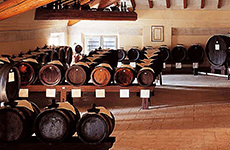 The Balsamic, above all, was a true revelation and perfect for wine snobs such as myself and the group!" "That’s it. We are hooked on truffles. What an awesome experience! 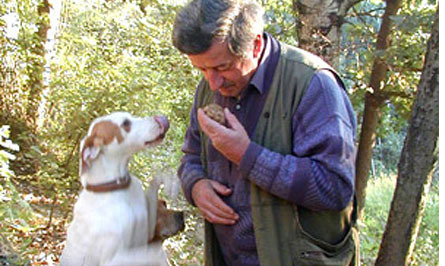 Gianluca, the truffle hunter was so friendly and his wonderful dogs were incredibly talented. I’m so glad that we managed to find some truffles too. Thank you for explaining everything so thoroughly. We’ll be back to learn to cook with them soon! " This subterranean mushroom is found within the living roots of oak, chestnut, hazel and beech trees. 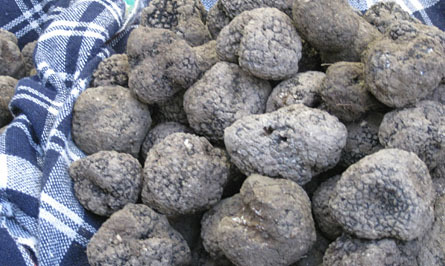 The word truffle comes from the Latin word “tuber”, which means outgrowth. The white (and most precious) truffle, more than any other food, has created such strength of emotion that has and continues to be the object of study. It has even been known to make grown men cry. Indeed, Gioacchino Rossini, the famous composer admitted: “I have cried three times in my life; once when my first opera failed, once the first time I heard Paganini play the violin and once when a truffled turkey fell overboard at a boating picnic”. Put on a good pair of walking shoes and head out with one of the area’s illustrious ‘Tartufai’ or truffle-hunters, his dogs and your multilingual gastronomy guide to go truffle-hunting at a secluded location in the forest. Depending on the amount of rain, humidity and the season, see how the truffle-hunter’s rigorously trained dogs smell out the truffles and how the hunters themselves then extract them from the ground. 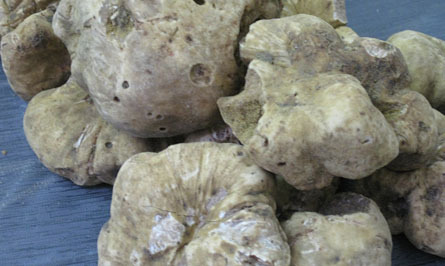 In the autumn and winter you will be hunting the famous, revered and very costly ‘Tartufo Bianco’ or White Truffle. 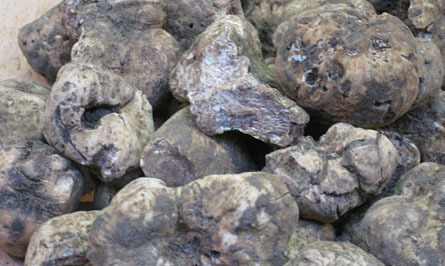 In the spring the ‘Marzuolo’ or ‘Bianchetto’ and in the summer months the ‘Tartufo Scorzone’ or Black Summer Truffle. You will learn about the mysteries of truffle growth, their terrain, their reproduction processes and how the truffle dogs are trained. 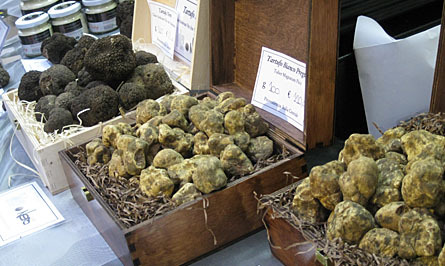 As Mother Nature is queen here, there is no guarantee you will find truffles at all and you may return empty handed. Cross your fingers and hope that the earth decides to be generous on that day. The fun is in learning about how unique and mysterious nature is and in the hunt itself. Any truffles found remain the property of the ‘Tartufaio’. This experience takes approximately two hours.